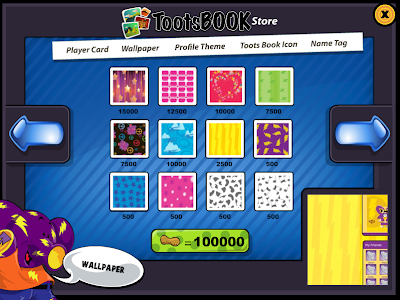 Club Penguin Cheats by Mimo777 Club Penguin Cheats by Mimo777: TOOTSBOOK on Tootsville! When are you gonna post the haiku winners? The closed poll has been sitting there for a long time! I don't have a Tootsville so...Can you join without one? I was the first person to vote on your pole! Aww... that is too bad.. I don't have it until APril either! I don't have Spring break 'til late March I think. Aww, that really stinks. And what stinks more is that I don't have a cell phone yet when everyone I know has one! ________________________TOYSGONEBY_____________ Only put (CPG MOD) when you are modding okay.. Thanks! WOW! those prices are crazy high! i dont think ill be buying that anytime soon! so in Vancouver the olympics are so cool! 2 bad their ending soon. we had a speed typing rally and i won! i was typing at 30 wpm. so yeah... uh that was kinda random but also i think that i might join but i wont buy the stuff cause, like i said it costs way too much. THIS PARTY WILL BE HUGE! During The Party, I Will Record, Take Pictures, Play Games With Fans, And May Give Away A Surprise To The Most Supportive Fan. I REALLY Hope You Can Come! 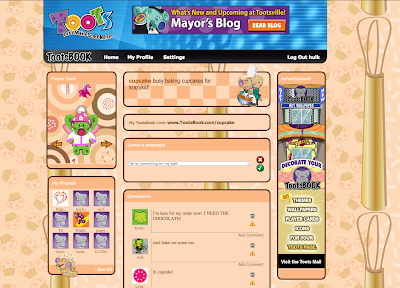 I don't think you can add friends on tootsbook. I wish you could though! Dear Misstiss66, do not put (CPG MOD) after your name when you are not modding. Dear Hnwjanuary, I don't have a cell phone either. Remember you don't always get everyhting you want (which is pretty sad lol) But if you did get everything you wanted you would NEVER be satisfied. All you need is a Tootsville account! It is NOTHING like facebook I can tell you right now. There is a jokes page and many other things meant for younger kids! OMG. When i played with my orange puffle it had a hula hoop! When it was done he ate it, lol. The catalog doesnt even say that his favorite toy is a hula hoop. I will try to make it! Thanks! Hey guys, it is true i'm leaving :) I just came by for a quick little visit to see my old pals, mod again, and move on :) I had fun modding all of you're questions! and meeting all of you! good job cpg mods and keep up the great work! Mimo will always be here for all you penguins and he's a great friend and penguin. Don't stop doing what you're doing! :) To those of you wondering who I was by the way... ehhh if you really want to know i'm sure you guys can figure it out you're own! :) Thanks mimo for everything! I am so going to join but also does anyone know how long it takes to get a reply from cp as they still have not fixed the 99 items glitch which means i cant get into my igloo! Someone help. You can add friends, I have seen others with friends. I think you automaticly have your friends that you add when you play tootsville? maybe? I don't know cause I never go on and have zippo friends. I have asked them questions many times. The longest I have had to wait was about 4 days. I would say 2-3 for you! I was the 79th. No joke!! 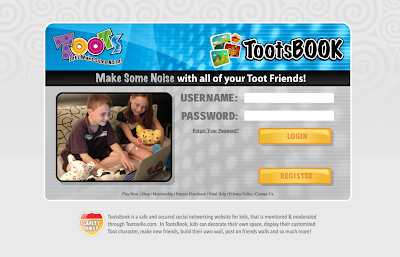 I would say Tootsbook is NOTHING like facebook. Sure you have a wall to post comments but that is about it. Facebook is way more revealing about your personal life. It is sort of like Facebook. You can share stuff and...well...yeah. This probably doesn't help, but I tried! Aww I hope you feel better Race/Rack! (Do I still call you Race...? ;]) It's ok, I am sure Mimo understands! They usually respond within two or three days. But lately it has ben taking, like, a week with my fanmail emails! Hmmmmm, I dont know. Normaly they respond the next day. Just try and be paitent. I have and idea! Earn alot of coins so you can buy stuff!. 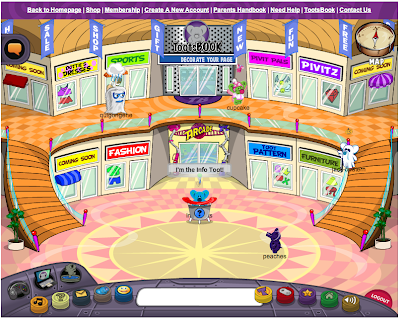 I also think its that you have over 99 items in your igloo that you can see when you walk in. Not 99 items that you have bought! NOOOOOOOOO, do you really have to leave? *Cries* Im going to miss you! You were such a great help to me and others. I considere you a friend. Cant you stay a little longer? Please? Set up a going away party? you are right. his favorite toy is a wagon, but thats when you play with him. when you dance with him, he dances with a hoola hoop. Please don't put CPG mod unless you are modding. Thanks! P.S. Mimo, please forgive me for not modding I have been sick. Aww... that stinks. I will miss one of my fellow mods. *pulls out hula hoop and taste with tip of tongue* Blech! Note to self: puffles can eat alot of things you can't. I think they are busy, so it takes 5-8 days. Thankyou to the people who responded i just will wait till next weekend and cheack again as i got to study for my tests!! lol (oh yer and i think the puffels counted as an igloo item by mistake thats why my igloos full,) or it could be that i have to much stuff because i have had member ship for about 1200 days!! He posted the top 3 now! I don't have spring break till late march. AND WE'RE GOING TO MEXICO. sorry for the caps. just really excited.